﻿ Yo Frankie! 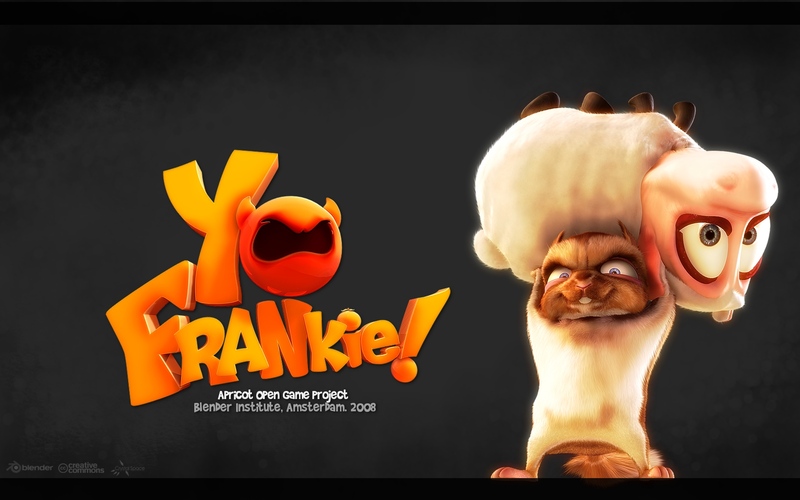 – Apricot Open Game Project » Blog Archive » Yo Frankie premiere! Guys I just wanted to let you know this game is awesome. I downloaded all the svn files and were playing with them. Before long I was running at lightspeed and gliding up instead of down in a world of sky platforms. Just wanted to let you guys know that y’all did a great job, and the game looks great. @Kory, what OS are you on? – most of the game is developed and tested on 64bit linux, Though at home Im using 32bit linux and both should work well. Its amazing how much the GE can grow after a few months of TLC. Its truly becoming a very powerful part of Blender, and i see it having huge potential, which we’re only just starting to uncover now. For me, the DVD should arrive though the Uni holidays (perfect timing) and I’m going to put a few days aside to just enjoy it all and check out what you guys have been working so hard on all this time. Congrats guys. This marks another major step in the development of Blender. Based on the story I saw on BlenderNation, the fact that game will be easy to modify will be a huge benefit that will help bring people in to Blender. Thanks to the Yo Frankie team for all their hard work. Their efforts are much appreciated. Yes As I postet in Post#25 I have noticed the 2Player opion and asked some questions about it also a question in post#26 is still unanswerd. Hey great work will there be a Playable Demo whit all the Optimicing bevor release? someting small like the first Demo… just cant wait to play around a bit… And the first demo Wont work whit ATI Graficcards…..
haha. You guys are so funny. That looks freakin amazing. my own levels too. Great work you guys. @Oldjim, sorry, missed your post. At the moment there isnt anything special about the level that make 2 player mode different, though you can play coop (portals work for 2 players) and you can battle eachother, tailwhip and throw stuff at eachother. The 2 player mode is split screen, and was really really easy to do in the BGE, had is basically working in a morning. Would also be easy to have 4 players or whatever but for now 2 is enough. Looking at the joystick sensor and dosnt look that hard to support more multiple joysticks with SDL. @Lasphere, we talked of this early on with some blender and CS devs and agreed this was not a good target for the project since its not simple to do internet/network gameplay. On a LAN you could get away with more then over the internet, its still tricky (aparently). /me waves goodbye to Chris and Pablo! Good work guys! To bad I could not join the party. However the week in Amsterdam was still fun, kind of pre-party. Campbell: I posted some time ago a patch (in tracker) where I tried (I am not a dev) to make the joystick code/sensor more universal (e.g. I own a device with more than 4 analogue axes). Maybe you can also consider this. Wow.. must say it looks awesome.. looking forward to playing and learning how to do all those effects. Hoping more game projects in the future.. fantastic work in such a short time! Implent a LAN/Internet Online Multiplayer Funktion is realy tricky… I worked over a year on my WSAG setup. 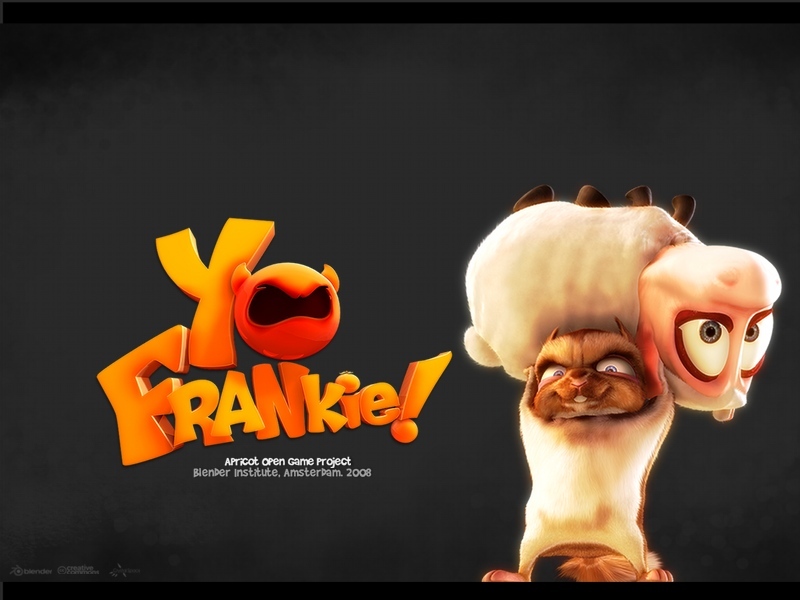 If there are some people out there that think this would be a cool game Mode Let me know and I will try to use the WSAG setup to make a Multiplayer game for YoFrankie…. But Im verly bad at modeling so somone out ther would have to make a differentcolerd hearbands for Frankie so you can keep the teams apart…. Dare I ask ? Hum… hum… well…So… what about Crystal Space after all ? So what happened ? If this really is really going to be “open” I think the community should know about whatever problems there were… After all the project was (also) about integrating Blender into a game creation workflow using a different engine… Am I right ? @ Hugh, if you are concerned enough to complain you should try to be concerned enough to keep up with the infomration that these guys have taken the time and effort to make readily available to everyone. sorry for my tone, but this information is out there in a BIG WAY a cool way – the devs made a video for us to watch! I’m on Ubuntu Hardy 64bit. I think part of the problem is my wierd nvidia graphics card. I don’t think it is quite powerful enough to handle some of the stuff. i.e the simple game (in /pro/bge/simple_game) works great at full screen, but some of the normal levels don’t load at all. I’m not too worried though, as I know it will get a whole lot better in two weeks. Even now, I can’t think of a game as easy to mod or create levels. It was as easy as selecting a platform and duplicating it then sticking frankie on top of it a couple hundred feet in the air. Then editing a text file with a couple of values and there I was flying. Guys I just want you to know, that if you’re too scared or don’t know how to access svn of whatever reason you haven’t downloaded this stuff already, it is amazing. @blenderlovingsquirrel: it doesn’t seem to be that clear what is going on on the crystal space side. there were no news since a while and offside the apricot website there were some concerning statements by ton and others. i don’t really care since i don’t use crystal space and bought the DVD as a blender supporter but maybe the crystal space supporters should be informed about the status? @Campbell I am having problems with the new Apricot Segfaulting with Blender 2.47 compiles on Linux Ubuntu 64 bit and Windows both. They both worked without any problems on Blender 2.46 of the Apricot Project but now with any of the 2.47 Apricot compiles any game demo crashes shortly after I hit play. This is the reason I have not continued to post Stats from the Blender Benchmark file. I can’t it crashes every time on the newer versions. Here is the terminal messages from my Ubuntu Linux 64 bit Blender 2.47 Apricot Rev 16241. Checking for installed Python… got it! I’m really eager to play this game and especially to look inside the blend files to learn a lot. You made a incredible work mainly with the GE improvements (and not only, who said GLSL). Grats features arrived just in time for my own project. Thanks a lot, I hope Blender official trunk will soon have these features. Good luck for the finish. Well it sounds fun. Maybe a Apricot-multiplayer mod? 😀 Would it be possible to make that? Oh, I forgot, yeah, a multiplayer mod would be great !!! little to say here. GREAT!!! Awesome work, I hope that blender GE will not be put aside by developers after this project has ended. I’m working on a game with my group using TGE + TGEA and we are starting to see all it’s limitations. Our idea is now to finish a demo of our game with Torque and after that to switch to an engine a little bit more user friendly. If BGE demonstrate to be powerful enough we could think of this as our new developing tool. (And I think a lot of other indies). So, please, keep up the good work!! Having an Online community that extends the apricot game is more interesting to me then in LAN gaming at the moment. Adding a level is as simple as copying a blend file into the “level” directory, this directory is scanned on startup and the signposts are dynamically created that are a portal into each blend file. – So basically a n00b should be able to test levels they find online. 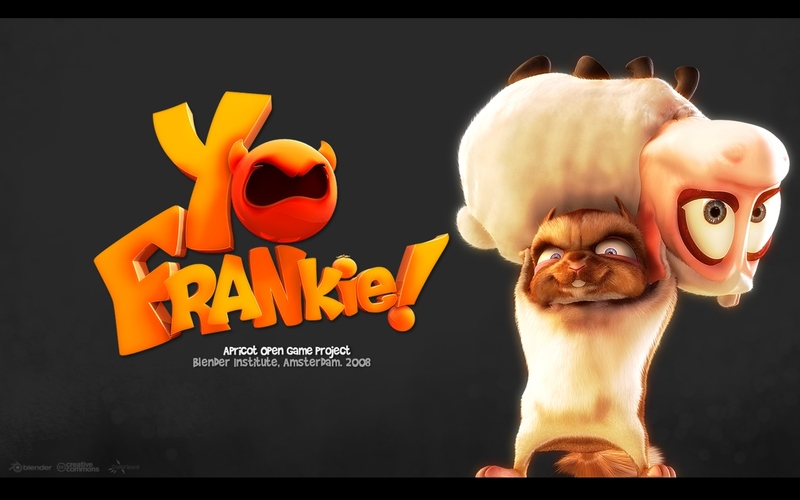 It is also our intention to have the apricot SVN assets (level files and artwork) put online for continued improvements, this way we can have YoFrankie-1.1 with bugs fixed and extra user contributed levels. @MatrixNAN, we’d need a backtrace to really sort that problem out. the whole blend file is 883k so i dont know if its too large for a game character. how large are the in game characters? Cool that there are some people out there that like my Multiplayer Idea. Game looks gr8! My guess is that the 2.48 & 2.49 will be the Apricot releases while the 2.50 will (?) include the interface change. Glad I preordered (got my name at the titles too! yay!)! Yay! That’s awesome. Is this the first animal abuse simulator? It’s exactly what the world was waiting for. No, but seriously guys, thanks for all your hard work in promoting violence toward animals. It means I won’t have to bother to show my kids how to kick our cat into the pond now. Pure fu**in genius. @ Campbell I used gdb I hope this is ok I shortened the list of no debugging symbols found as I figure this probably does not matter. I did the back trace at the end. Hope this helps. Just ask any question that comes up about the new features or anything else related to the Apricot Project. It will help to keep this Project up and going. what else than just “thank you!” can i say… i was nice to watch the whole develepment of apricot, the new GE features and fixes… can´t wait to get the game! The game is looking FANTASTIC! I cannot wait to play it. I am new to Blender only b/c I used Cinema 4d. Seeing what’s capable – I’m looking to make the switch. BTW – Big Buck Bunny ROCKS! I would love to see more works like it. GR8 job again guys. When can we see some more video postings? Thanx too for Apricot project. How do you use SVN in Ubuntu/Linux? I’ll keep looking or just use Tortoise in Windows. Awesome Blender runs faster in Linux – no DosBox. The video shows Options-Graphics-Low/Med/High. 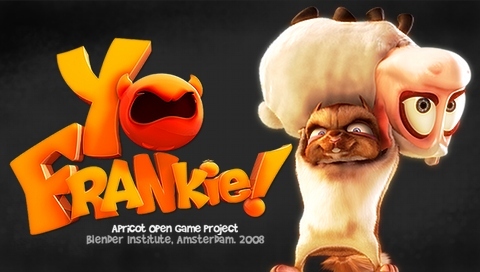 Hopefully I can run YoFrankie in low-res in Linux. The PSP wallpaper is to remind us of the Cover of the “Blender GameKit” book, with the BGE running on a GameBoy-type Tablet. I want to buy a new gaming machine, except these 8-pound Laptop bricks are too heavy and hot. I wish I had the hardware from the GameKit-book-cover. I wish Apricot could release a new copy of the GameKit book too. Looking forward to the DVD with awesome video/tutorials. I bought “Bounce,Tumble & Splash” and the one chapter on Bullet/BGE is helpful for hinges, ragdolls, and some BGE info. I’ll “Record the Game Physics to IPO” in Apricot and render a PSP movie to show people what a PSP wishes it could run. That’s cool the Bullet Physics guy went from simulation at NAN to Sony. Hopefully his new book will have some more BGE tutorials. 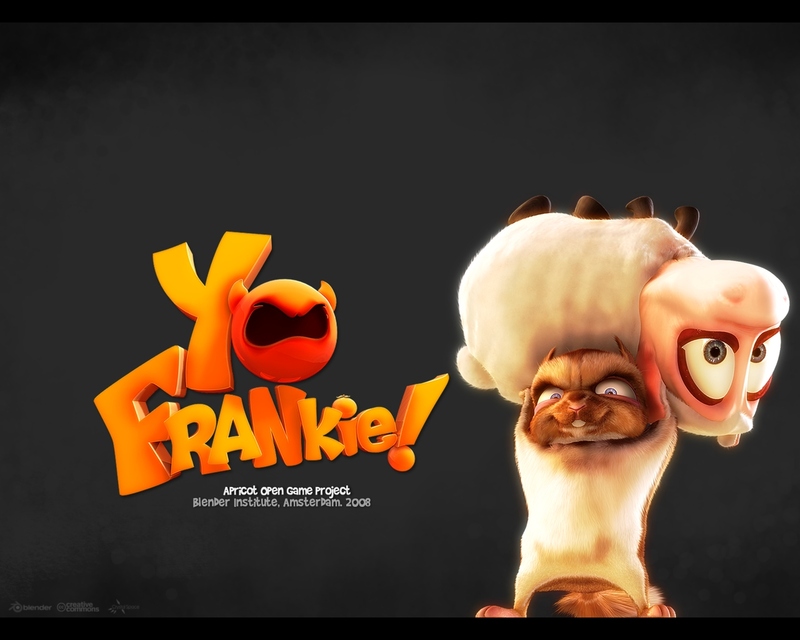 Yo Frankie is more fun to play than Crysis. Great work Blender Team! BGE rocks n rules! thanks! :D, svn from the command shell is enough, but if you need a graphical interface look for “eSVN”, or “RapidSVN”, I prefer eSVN but both are OK. Awesome to see that blender can do so much. As with Big Buck Bunny, the game will be officially released online a week (or two) after, but if the people that bought the DVD and already got it decides to upload it somewhere, there is no problem at all. This is such an awesome breakthrough game! You guys should expand it to mobile games.